This is the page where I post all my current obsessions. Get ready for the goods. This protein powder (below) is currently my go-to and honestly, I don’t see that changing for a while. I still use other protein powders for certain recipes, but since trying this…with all the benefits it gives, I don’t see myself changing things up for a looooong time. 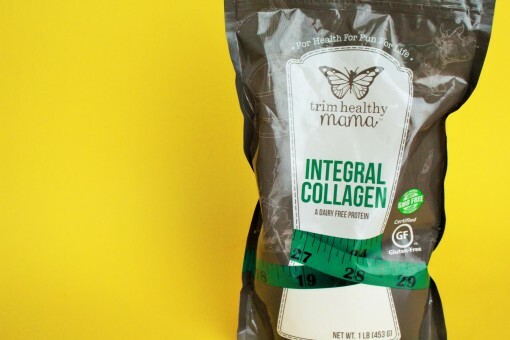 It’s basically PURE COLLAGEN…so it’s a killer supplement for your hair, skin, and nails. It’s from an amazingly reliable source that contains no antibiotics, hormones, pesticides, preservatives and additives. Seriously guys, in the last month (when I’ve started using it consistently) I’ve had random strangers come up to me many times and say, “Your skin is flawless”. That, and my nails are the longest they’ve been in a while and…get this, my eyelashes are longer too! The last thing might be because I use cold-pressed castor oil as my eye makeup remover/conditioner (this is the one I use)…but I sure don’t think that extra collagen hurts. The ultimate beauty supplement. You can get this (and other amazing low carb/low sugar baking products I use) at this online store. Besides that, it maintains the health of the central nervous system, promotes healthy joints, gives energy, and is a high source of protein. Everything I could ever wish for in a protein powder. But seriously. OBSESSED. If you’ve been reading my blog for a while you will know that I am obsessed with spirulina. Absolutely obsessed. Ever since I started taking it I have not gotten a single cold or been sick. 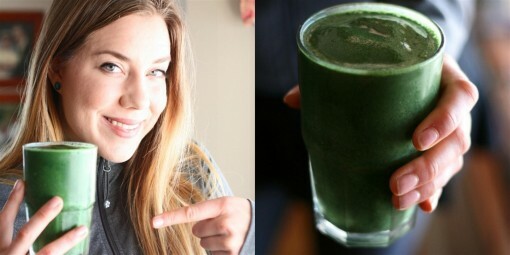 That alone, would keep me as a lifelong spirulina junkie…but that’s not all. I’ve noticed I have a lot more energy, my body is more balanced, and even my skin is better. I’m hooked on this for life. I take it every single day, either in a tablet form or put the powder in my Superhero Smoothie. My favourite brand is the spirulina by Nutrex because the quality is absolutely top of the line. Take it every day and you will be happier. Word. I love drybrushing and it’s the secret to smooth, soft, skin. However, it’s also great for cleansing the lymphatic system, helping digestion, toning muscles, getting rid of cellulite, stimulating circulation, removing dead skin, strengthening the immune system, and tightening the skin. It kind of wakes you up in the morning, which is one of the reasons I really like it. Mornings and I don’t get along. I use the drybrush by Yerba Prima and I love it because the handle is detachable and the fibers are natural. Disclaimer: This page contains affiliate links, but only to things that I personally am obsessed with and recommend with my whole heart. Thank you for supporting Colourful Palate, so I can continue eating expensive organic food.